“These have been my deepest Svaroopa® yoga experiences yet,” says Dharma (Lloyd) Apirian. He took all three DIYs last summer and has just completed June’s DIY: Healing which focused on deeper variations on our Magic 4 sequence. Especially powerful for Dharma was the training in Lunge. “First,” he describes, “my legs were aligned too close, as though on a tightrope, and I was lifting my ribs in the wrong direction. I was able to remedy these misalignments. Even more remarkable was an adjustment from another student. She placed one hand on my sacrum and the other behind my heart. I felt her hands grow hotter and hotter. I was no longer in the realm of time. Suddenly I realized someone was talking to me. Though I still felt her hands on my back, she was actually sitting in front of me. This was my first ever experience of a comfortable and easy yet well-aligned pose. It brought to life Patanjali’s sutra “Sthira sukham asanam” (the pose is steady and easy). In my home practice now, Lunge feels brand new. DIY is for anyone interested in yoga and meditation. There are no prerequisites. Meticulous pose instructions are included as well as pose handouts for your personal practice. Chanting, meditation and group sessions with Swami Nirmalananda take you deeper and deeper into Consciousness. Everyone experiences amazing transformation in body, mind and heart. Our next one is August’s DIY: Connection followed by October’s DIY: Fulfillment. This entry was posted in Ashram News, Courses on June 27, 2017 by Svaroopa Vidya Ashram. For much of my life, I have had an involved experience of anna-maayaa-kosha, the physical body, shaped, nurtured and sustained by food (“anna” in Sanskrit). I have always been interested and involved in creating healthy, delicious food. In the 80’s I studied macrobiotics, then at the Institute for Food and Healing in NYC. I taught cooking classes and catered my students’ weddings and parties. Then I studied Ayurveda. After reading Physical, Prana, Mind & More…, I’ve come to see that something’s happening in the processes of a deeper level than my “food body.” Loosening my hold on anna-maayaa-kosha let me pay attention to subtler levels and look deeper. The experience of gratitude is playing in my mind, mano-maayaa-kosha. I realize I am so fortunate to have choice in what I eat. If I were in a third-world country or in prison, I would have little or no choice of food. So now I simply bless the congregation’s food and eat it, with great gratitude. Wow, mano-maayaa-kosha, the mind, is a big one! From childhood through adulthood I have experienced hefty confusion, including a lot of disorganization and chaos in my life. I’ve wondered, “Where does this come from?” It has been reflected in my inability to keep order in my house, paperwork, my mind, my life. But lately, I have turned a corner, so to speak, gotten over the hump. I have found what I’ve been looking for in the midst of this chaos: the experience of just being in my Self. I notice that now, bit by bit, I create small pockets of order. I do more “deep cleaning.” Along with that, my body is experiencing a major phase of clearing: Kundalini is presenting me with much inner chiropractor work. My experience of vij~nana-maayaa-kosha, the “Truth” body, has also been extraordinary. Ten years ago, I used the Internet and googled the name I knew as that of my biological father. Since the age of 12, I had known about him, but we had never met. The Internet search brought up an article he had authored. When I read his words, I knew in Truth this was my father. Even before I had any tangible evidence that this man was my father, I was confident in telling the world I had found him. A while later, it was amazing to actually meet him in Israel. When I come to aananda-maayaa-kosha, the bliss body, I have a wonderful childhood memory. I was 7 or 8 years old, up on a hilltop at night, looking out at the dazzling city lights. The moment was ecstatic, blissful beyond words. I know now I was experiencing the pure delight of Shakti, all the sparkle and creation, in my bliss body. Our current month’s article, along with Guru’s Grace, has helped me experience the layers of my small-s self. This process has enabled me also to heed her warning: “The problem is you get enamored with your bodies.” Instead of getting stuck in a “covering” over my Self, the teachings of this article have lovingly moved me into and through my small-s self, level by level. This has opened me to her final guidance, “Deepen into the core of your being and allow your radiance to shine from inside out.” Thus, I am becoming more and more established in That. Along the way, more and more japa is a great support! This entry was posted in Ashram News on June 20, 2017 by Svaroopa Vidya Ashram. Ayurveda describes how we live within, as well as embody, the energies of nature: space, air, fire, water, and earth. Each has qualities that we can perceive relative to the other energies. For instance, we know that air is light relative to the heaviness of earth. We know that water is cool relative to the heat of fire. The seasons also have energies relative to one another. We can perceive the humidity and heat of the summer months relative to the dryness and cold of winter. Moving toward the summer months, pitta season, you will find it helpful to apply Ayurvedic principles. They enable you to maintain your best health and to stay open to your knowing of your own Divinity. One Ayurvedic principle is that “like increases like” which means that the heat and moisture of summer outside increase the heat and moisture inside your body and mind. This excess of pitta energy can show up as skin conditions, fevers, allergies, inflammation, reflux, loose stools, frustration, anger or pressure. To avoid these problems as you move into and through summer, make simple lifestyle choices to support healthy Pitta. 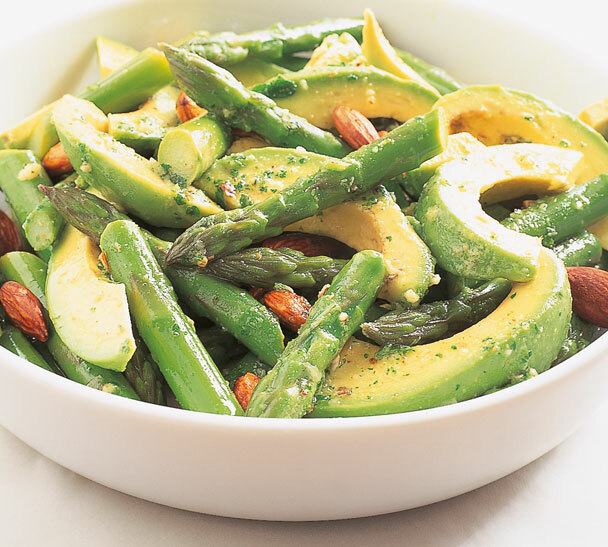 Pitta-friendly veggies include asparagus, green beans, cucumbers, summer squashes, avocadoes and fennel. Continue eating lots of cooked greens. For raw greens, and add oil; think salad dressing. For fruits in summer, indulge in cooling melons as well as seasonal sweet fruits such as peaches, apricots, berries, apples, coconuts, dates and figs. Balanced summer grains include amaranth, oats, quinoa and wheat. Combine them with mung beans and split mung as well as the small beans like lentils. For dairy, stick with soft cheeses like cottage cheese or goat cheese. Keep your yogurt to a minimum as the sour taste aggravates pitta. Cilantro, coriander, cumin, turmeric and cardamom will keep your digestive fire going without over-stimulating it. Within the rest of your summer lifestyle, think cool and relaxed. The lifestyle word for pitta is “moderation.” Enjoy the coolness of shade. Walking by water, especially under a full moon, balances pitta beautifully. Wear cool colors like whites, blues and purples. Be easy on yourself. Don’t over commit. Do give yourself plenty of time for long Shavasanas. This way you will welcome the lightness and Consciousness-expansiveness of pitta season. This entry was posted in Ashram News on June 13, 2017 by Svaroopa Vidya Ashram. My Foundations experience was powerful and positive. Yet I never expected to work so hard during those few days. Everything I was learning seemed completely overwhelming! But I got used to the pace. And during the week that followed it all sank in. Then I realized how very much I had absorbed. Much of what I heard slowly seeped into my head, my mind, my body and my heart. I learned new words, poses, adjustments and facility in using the handouts. I gained ease in moving my body (and arranging blankets!). 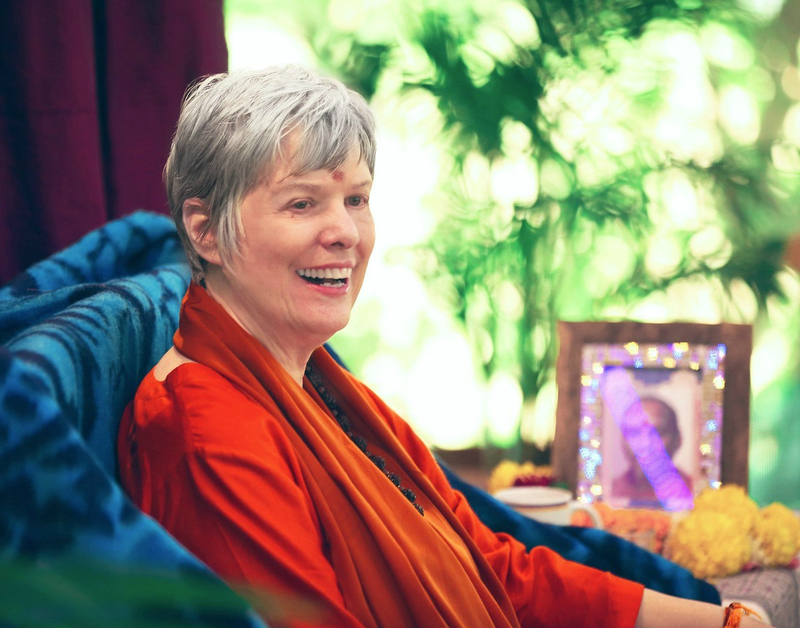 I learned about the philosophy of Kashmir Shaivism along with meditation and chanting. All was so deep and enriching. Now when I do the poses in my own practice, I hear the voices of my Foundations Teachers and Yogeshwari Fountain, my local teacher, too! I know more about what is behind it all. My experience in my local class as well as my personal practice is enriched because this thorough learning is taught by knowledgeable and experienced yogis. I also experienced deep physical, mental and emotional openings. I felt that our meditation and chanting sessions helped to solidify our learning and focus our mind and energy. During the course, I learned the poses and how to teach them with different partners. I observed how that process breaks down barriers. Afterward, I felt closer to every person I worked with. Those I did not get to work with still felt a little bit like strangers to me. Next time, I’ll make sure to partner with every person in our group, if possible. To me, this experience showed that barriers break down if we get close enough to touch people in healing ways. We see other persons with a more loving and open heart. I am so grateful for the experience. I am so grateful to Yogeshwari for opening the way to my Svaroopa® yoga exploration. I’m not sure yet whether or not I will teach, or whether Foundations will be for my personal experience alone. In time, it will all be revealed. Of that I’m sure. This entry was posted in Ashram News on June 8, 2017 by Svaroopa Vidya Ashram. I have had some amazing teachers in my life. One sparked a love of reading. Another taught me not only how to sing but how to find my voice. My first boss showed me how to be a responsible journalist by respecting all points of view. These teachers and many more helped shape who I am today. They taught me how to do things, how to view things and how to be in the world. Yet it was my first yoga teacher who helped me see who I was beyond what I could think, do or say. She inspired me to look inside and to view both the world and my place in it in a completely different way. She inspired me to become a yoga teacher. As a yoga organization, an Ashram, we rely on those who care about the world being uplifted and inspired by this kind of teaching. We rely on you. Our spring fundraiser’s theme is “Inspiring the Next Generation.” A good number of our teachers, myself included, are reaching retirement age. Now is the time to make a concerted effort to ensure that the Svaroopa® Sciences reach the next generation. Your generous donation to either the Scholarship Fund or to Swami Support will make a difference. Thank you to so many of you who have already responded. Your Ashram Board of Directors thank you again and again. While our fundraiser timeline is almost over, you still have time to contribute if you have not yet done so, or to add to your gift. Your yoga teachers, and our Master Teacher, have given you so much. They have helped you recognize who and what you really are. Where would you be without them? Join me in honoring them with a gift today. This entry was posted in Ashram News, Fundraiser on June 6, 2017 by Svaroopa Vidya Ashram.